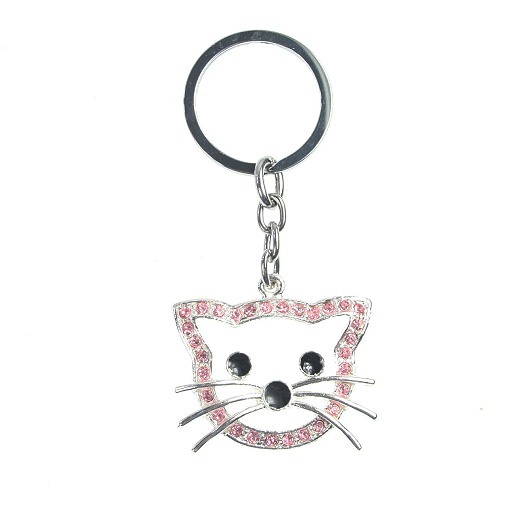 A pretty cat face keyring with pink diamanté, black eyes and nose plus silver whiskers. Provided with suedette drawstring pouch. A large light grey soft scarf with a black cat design in various poses.